Devon's director of cricket Keith Donohue says the county have their strongest possible team for the Minor Counties Trophy final. Donohue's side play against Oxfordshire at Wormsley for the title on Tuesday. The county hope to repeat their last visit to the final when they beat Berkshire at Lord's to take their fourth title in 2008. 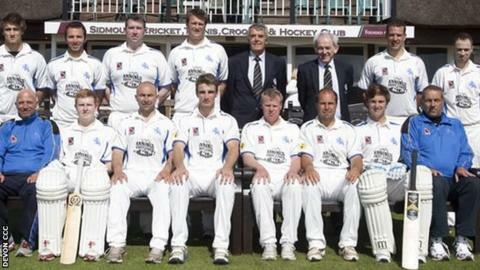 "We will go up to Wormsley with our strongest available team," Donohue told BBC Radio Devon. 27 April: Pool match - Lost opening group game to Wiltshire by three runs. Should Devon win the title, they will go level with Norfolk for the most title wins while Oxfordshire are bidding for their first ever Trophy triumph. "We've had a pretty good run in the competition this year," added Donohue. "We've been steadily improving throughout and played our best game in the semi final, and nothing much changes. "We will just do the same things as we have been doing, nothing too out of the ordinary for the final." All of Devon's previous appearances in the final have been at Lord's, so a visit to Wormsley for the final is a new experience for Donohue's side. "My personal view is obviously if it's at Lords's it's every cricketer's ambition and dream and that stands out as the preferred option," he said. "As for any of the county grounds, it's difficult to know what kind of atmosphere you're going to have there, so for me Wormsley is a fine place to have it outside Lord's." Devon squad: Rob Woodman, Liam Lewis, Matt Thompson, Josh Bess (capt), James Burke, David Lye, Gary Chappell, Trevor Anning, Jamie Overton, Ben Green, Scott Barlow.